Josh Croup served as the editor-in-chief of The Globe during the 2016 calendar year and is currently the co-sports editor. Croup has covered a wide variety of news stories for The Globe from a professor's resignation to faculty union contract negotiations. He began writing for The Globe during the first week of his freshman year as the Rugby Club beat reporter. Croup started his sophomore year with The Globe as the sports editor and was promoted to editor-elect three weeks into the semester. In January 2016, he took over as the editor-in-chief as one of the youngest editors in the Globe's 50-year history. 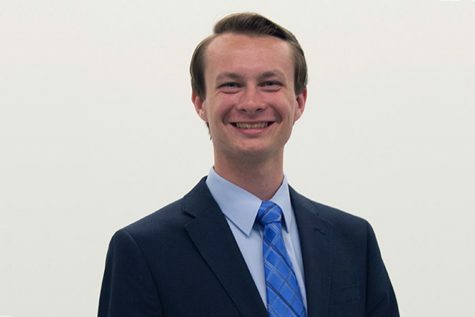 He has written the paper's weekly sports column "Croup's Corner" since his freshman year and received the Society of Professional Journalists Region 4 Mark of Excellence Award for column writing in 2016. He also received the 2017 SPJ Region 4 Mark of Excellence Award for breaking news coverage and the 2017 Student Keystone Press Award for column writing. He is in his eighth and final semester as a Globe staff member.